If you love helping people and you would love to convert a lot more free discovery calls into excited paying clients without trying to convince people or using manipulative sales tactics then this would be the most important book you ever read. This is not a sales pitch disguised as a book. Over the last 15 years, I have mastered a unique consultative approach to enrolling clients through what is traditionally referred to as discovery calls, strategy calls or clarity calls. I have a ridiculously high 95% conversion rate, which means that 95 out of every 100 people who talks to me buys from me and I do this using my unique approach called "NON-SELLING" and in this book I show you how to apply this approach to your discovery calls. I have the benefit of learning & practising client enrolling prospecting calls for 16 years, and have developed exceptional mastery as a result. All business entails risk as well as massive and consistent effort and action. If you're not willing to accept that, please DO NOT BUY THIS BOOK.. In fact this is not a sales book at all. It's more of a detailed guide to enrolling clients through discovery calls without actually selling to them. There's no fluff or filler - just battle-tested tactics that my clients and I are using to convert free discovery calls to paying clients right now. In this book you will learn exactly what to do, how to do it and why. And It's About MORE Than Just Getting Coaching Clients. See, you can use the same system I teach in this book to enrol all kinds of clients. For example, I've used my non-selling approach to get Corporate clients including banks and other financial institutions, media organisations and even mining companies. I've also used these same strategies to attract lots of Small & Medium Businesses (SME) including solicitors, accountants, opticians, physios and driving schools as clients over the years. In fact you can even apply what you learn in this book to land the job of your dreams if you're so inclined. So like I said, there's more to this book than "just" converting coaching clients. Why being a brilliant salesperson will actually cost you money. Everybody knows you need to create content daily, be actively visible online and have a lot of social proof if you want to attract high paying clients, right? WRONG! You will learn how to become a client enrolment superstar without wearing yourself out trying to be famous. The 3 things your prospect must do before the session that will make it a more productive session and also drive your buyer conversions through the roof. Do you offer a really great experience, your prospects are genuinely excited at the end of the session but they still don't buy? I share the 3 main reasons why this happens and how to turn things around so you start popping buyers like a popcorn machine. How do I trigger the 4 beliefs that converts a sceptical prospect to an excited buyer on one short call? I reveal this to you in the book. Why you should never tell a prospect how you can help them! Never! You will learn exactly what to do instead and how to do it. When it's okay to lower your prices and charge below your standard rates and when you should never go below your premium rates. You're right ...that is a lot of battle-tested strategies and tactics. And it's stuff that no one else can show you because no one else is doing it. My Top 6 Methods For Consistently Booking Qualified prospects On To My Discovery Calls! As a special bonus I'll be giving you exclusive access to a 60-90 minute online class where I will share the 6 main methods I personally use to book quality prospects on to my Discovery Calls. This is an exclusive class for members of my top end Elite Mentoring Program but when you order Discovery Call Magic today, I'll give you FREE access to the class. Combine what I'll share in the class with what you learn in the book and you'll be enrolling super-high end clients - with no pressure, convincing, or traditional "selling". This simple but effective combination of non-selling buyer conversion and these 6 powerful ways to fill your calendar with appointments with people who are really looking for what you offer has been giving me great buyer conversion without having to wear myself out trying to be famous for almost six years running, and nobody else does it! Specifically Designed To Work For You In Your Current Situation! Have you ever tried different marketing strategies that the gurus swear by, followed the training to the letter and yet they never seem to work for you? It's not your fault. The odds were seriously stacked against you. There's no one-size-fits-all when it comes to marketing. And that's why you need a range of proven prospecting methods that will generate leads, convert them to warm prospects for you and get them to book Discovery Calls with you regularly and consistently. When you use what I will teach during the bonus online class in addition to reading the book two things will happen. This is really important to you because it you will now only be talking to prospects who will value you and your offers, they will want to buy from you before they even talk to you and you won't have to wear yourself out. When marketing works, business becomes exciting and rewarding. You Will Start Converting More Excited Buyers With Ease & Never Feel Uncomfortable About The Process Ever Again! And you'll do it without feeling uncomfortable or awkward as you won't be using any pressure, you won't have to convince anyone of anything, and you won't even have to talk about yourself or your services much at all! I've created it using a new approach called "Non-Selling" that actually helps the prospect buy from you himself instead of you trying to sell to them! So Where Is The Exclusive Online Class Holding? The class is a zero pitch, content loaded session that will run online for about 60-90 minutes and as soon as you get the book now, you will be given back door access to register for the class. The cost of the class is £97 which is brilliant. But the good news is when you order the Discovery Call Magic book today at $8.97 you'll get an automated receipt with a secret link that will give you access to the online class. Don't worry if you are not able to make the class. The class will be recorded and the recording will be made available to you at no cost so you can go back and watch it. Oh, and in case you're wondering .. I realise this is very inexpensive ...so you might wonder what the "catch" is. I'm literally giving you access to this my top secrets for enrolling clients from Discovery Calls for only $8.97 as a means of "putting my best foot forward" and demonstrating real value. It's Important You Take Action NOW! It will cost me a fair bit in advertising expense to get one person to buy this book. In fact it will cost me up to 4x the price to sell one copy of the book! So why would I do price it so low? I'm making this offer with the idea that you'll be very impressed with what you'll learn, and you'll want to do more business with me in the future. I'm betting that you'll enjoy the book so much, get awesome results so you'll call and ask to take additional classes or training from me. Pretty straightforward. So order today and lock in the special launch price. You're Also Getting My Top 6 Methods For Consistently Booking Qualified prospects On To My Discovery Calls! I will give you access to an exclusive 60-90 minute online class where I will share the 6 main methods I personally use to book quality prospects on to my Discovery Calls. I will also record this session and make it available to you at no extra charge. I want you to have this as an extra bonus gift for pre-ordering my new book. I 100% Guarantee you'll love this class and the 1-1 session or I'll return ALL your money and let you keep the book as well as the recording of the online class. That's right. You don't even have to send anything back. Just email me or call the number on your receipt and I'll give you back your $8.97 with no questions asked. 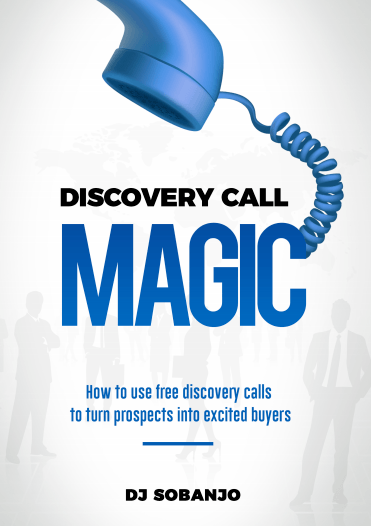 I'm offering you a LAUNCH special on my new book Discovery Call magic that outlines how to use free discovery calls to turn prospects into buyers of your coaching services without using underhand manipulative sales tactics. In addition, I'm giving you access to an exclusive 60-90 minute online class where I will share the 6 main methods I personally use to book quality prospects on to my Discovery Calls. In fact, if you don't like the book let me know and I'll even give you back what you paid You don't even need to send the book back. DJ is a business growth strategist who since 2002 has been building businesses across the UK, Africa & North America. 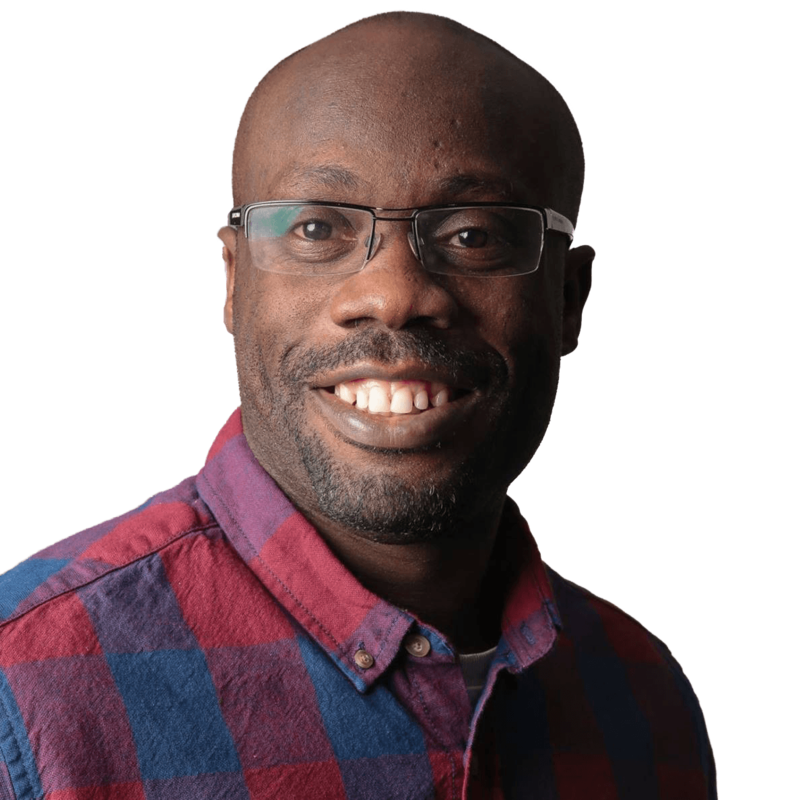 He has worked with Corporate clients in the areas of Leadership & Management Development, SME's in the areas of marketing & strategic business growth. More recently, he founded, Profit From Coaching - a company focused on helping coaches and consultants build profitable money making businesses around their passion of helping others.